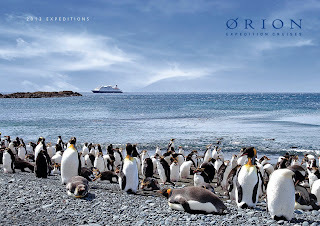 Orion Expedition Cruises has released its 2013 season brochure; 64 pages detailing 33 voyages with expeditions to 94 destinations onboard the highly acclaimed expedition ship that sets the standard for expedition cruising across the region, Orion. Eight years of operational experience is reflected across the range of bespoke 5 to 20 night itineraries to carefully selected destinations - expeditions that include Borneo and Sulawesi, Australia's Kimberley coast, the Great Barrier Reef, the islands of Melanesia, New Zealand, the Forgotten Islands of Sunda, Antarctica and Papua New Guinea. From Admiral Yamamoto's headquarters in Rabaul to historic explorer's huts in Antarctica, this expansive, full colour brochure, includes voyage summaries and typical cultural, historic and wildlife experiences encountered. Useful reference for potential expedition travellers seeking rewarding cultural interaction and intellectual stimulation unknown in mainstream cruising. The relaxed luxury life onboard is exampled through Orion's range of accommodation options (including floor plans for Staterooms and Suites through to Owner's Suites) and facilities that include boutique, massage, spa, elevator and lounges – along with Serge Dansereau's award winning cuisine. 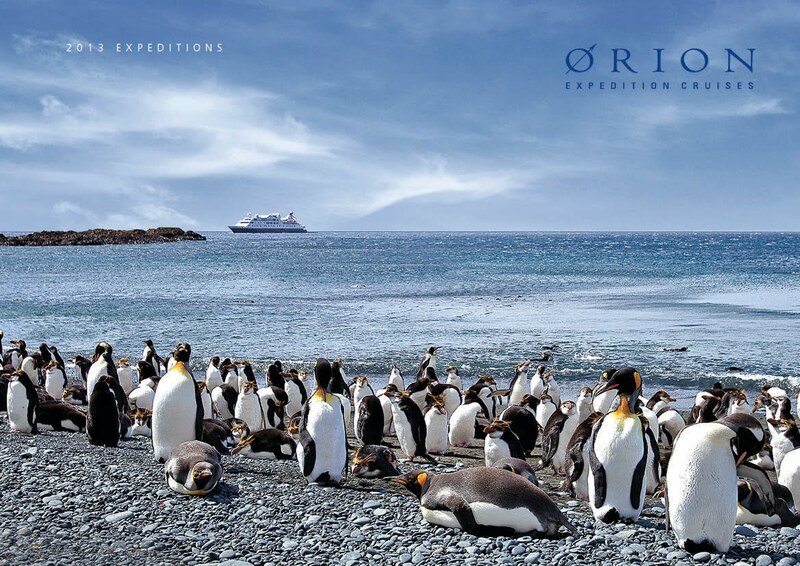 An electronic version of the Orion 2013 brochure can be downloaded from www.orionexpeditions.com/ebrochure or a printed version mailed directly simply by contacting Orion Expedition Cruises: 61-2 9033 8777 (Sydney callers) 1300 361 012 (regional and interstate), emailing info@orionexpeditions.com or through specialist expedition cruise travel agents. Generous advance purchase options are available for those who act swiftly with lowest price savings guarantees of up to 40% off published prices. Savings vary by itinerary. Additional incentives are offered for back to back voyages.